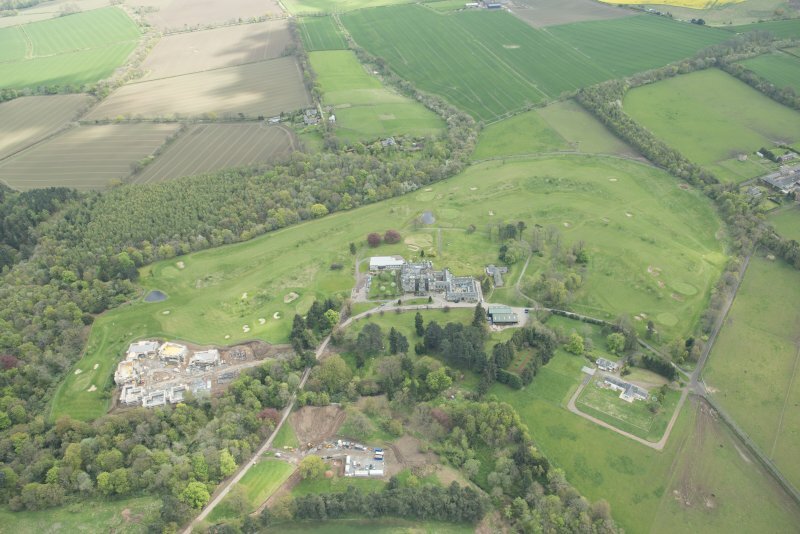 Oblique aerial view of Whitehill House and Whitehill Golf Course, looking SE. 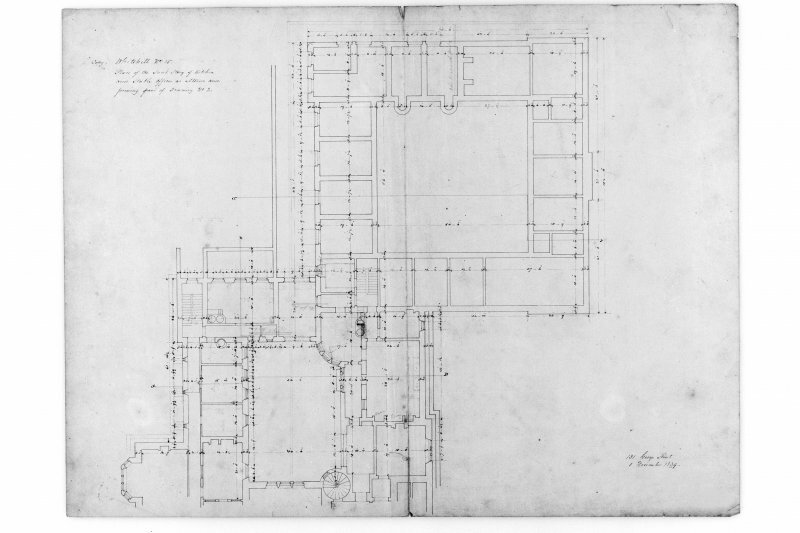 Elevations and sections of kitchen and stable offices. 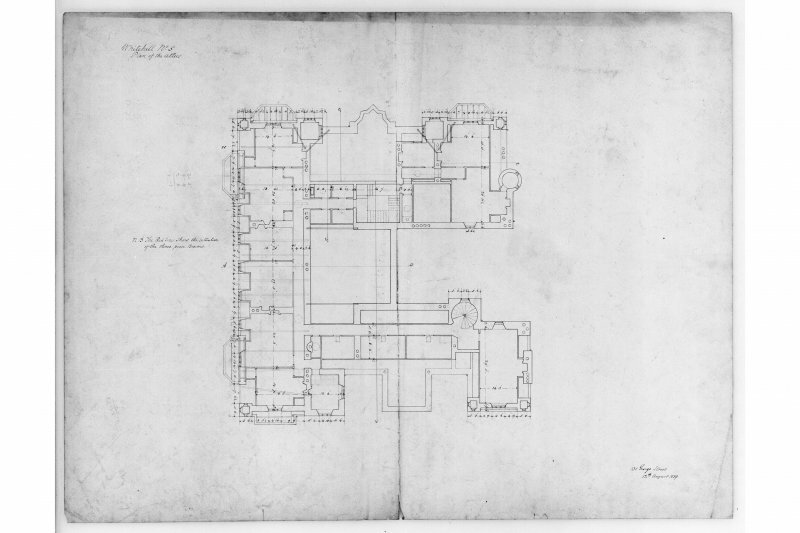 Plan of principal floor (in 2 pieces). 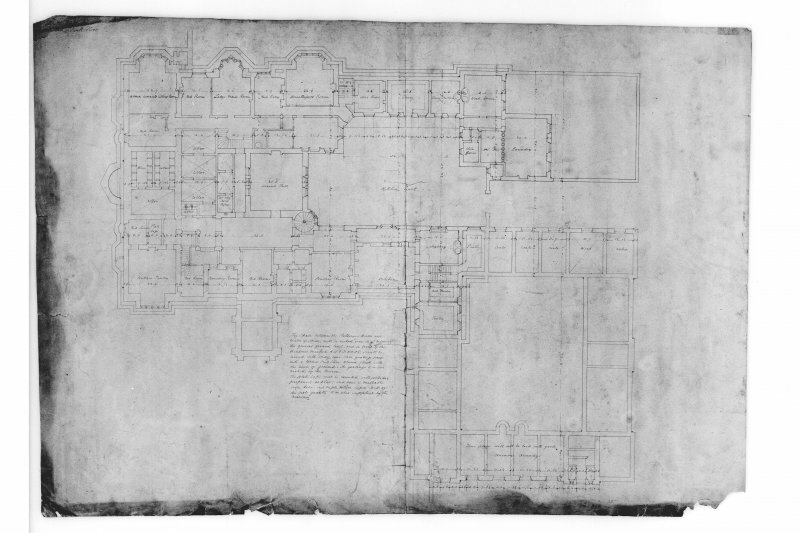 Plan of bedroom floor timbers. 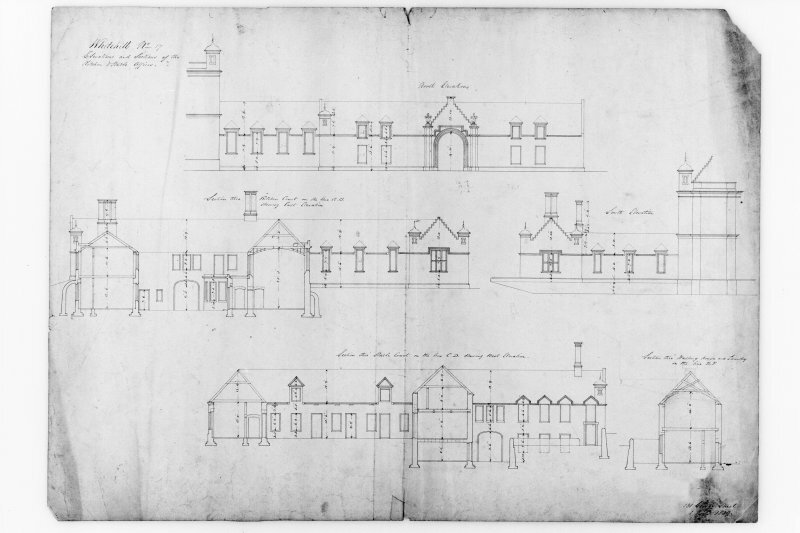 Sections and elevations of stables and kitchen offices. 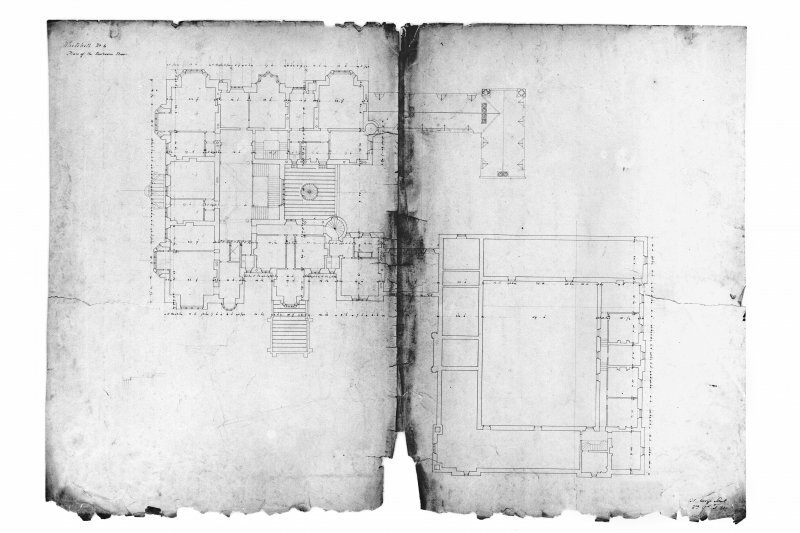 Ground plan of kitchen and stable offices "as altered". 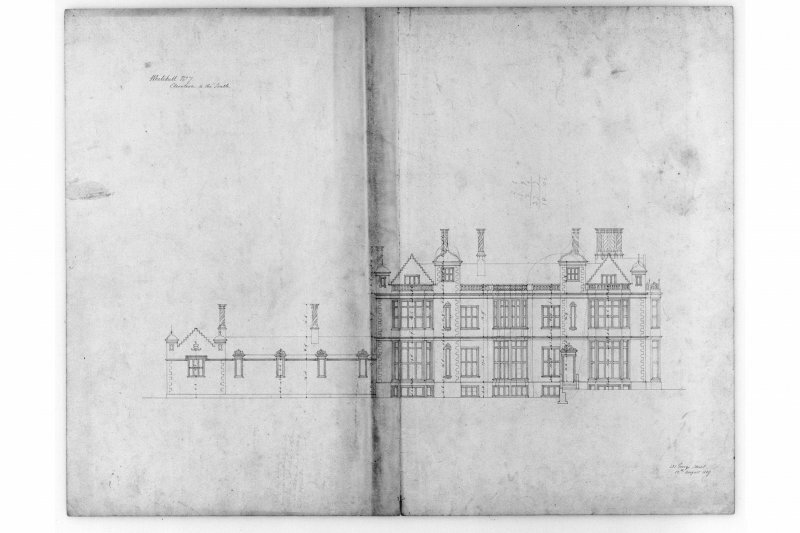 Elevations to E and N.
W elevation and section through kitchen court, with inset. 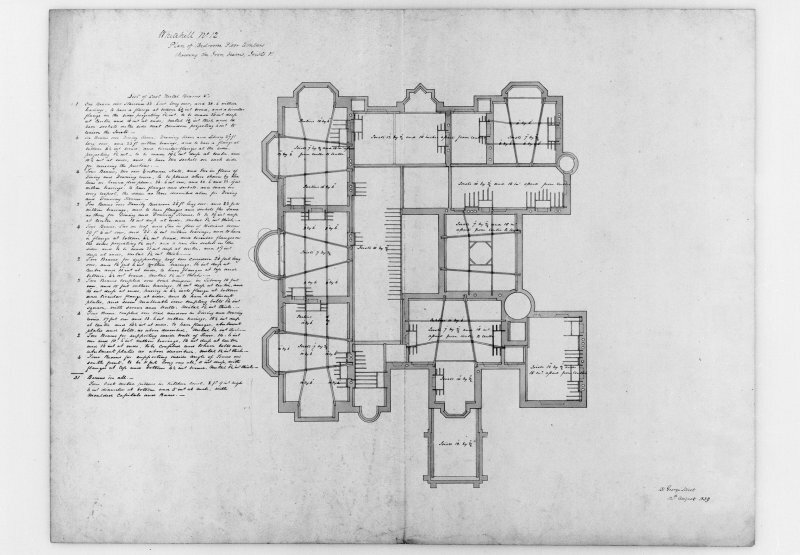 Plan of sunk storey and stable offices "as altered". 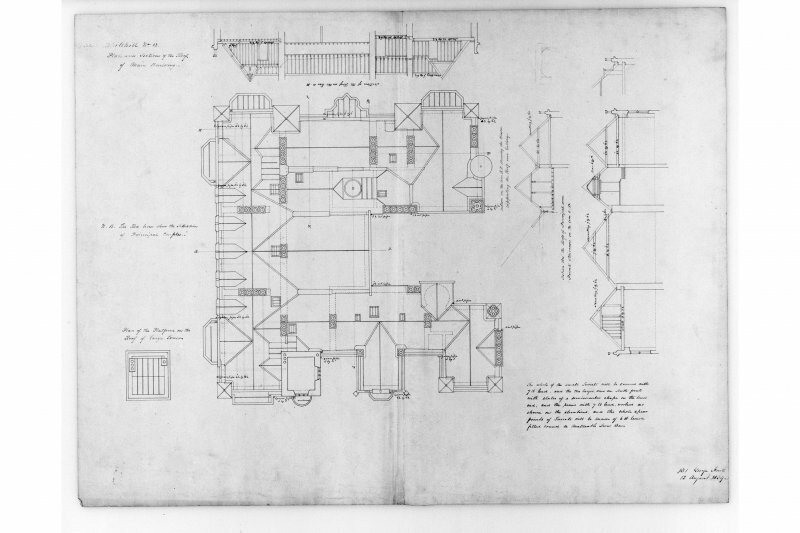 Plan and section of roof of main building. 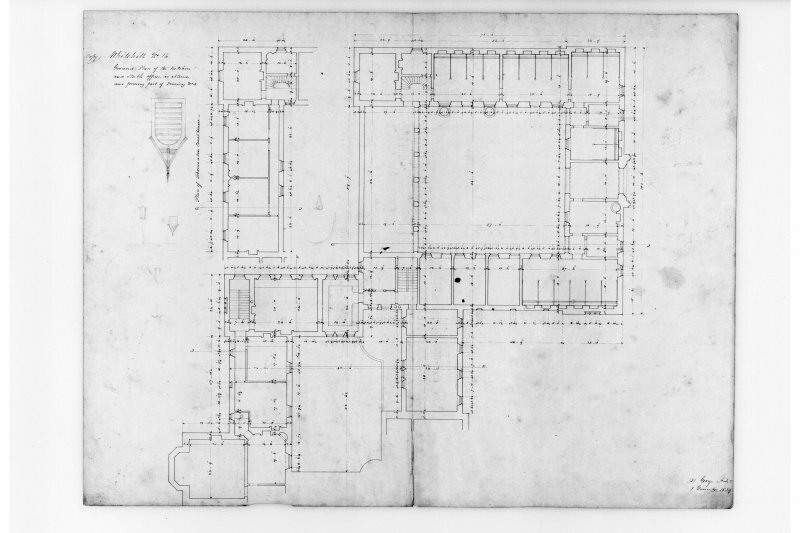 Plan of bedroom floor (in 2 pieces). 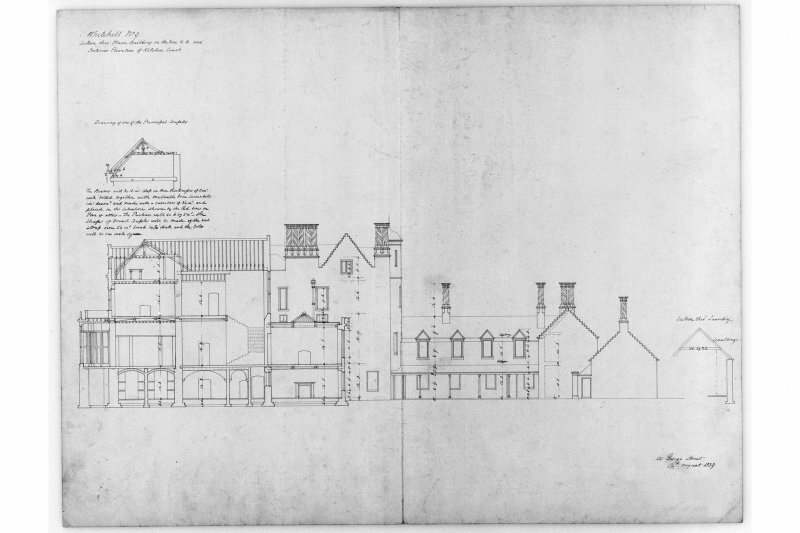 Section through main building and interior elevation of kitchen court. 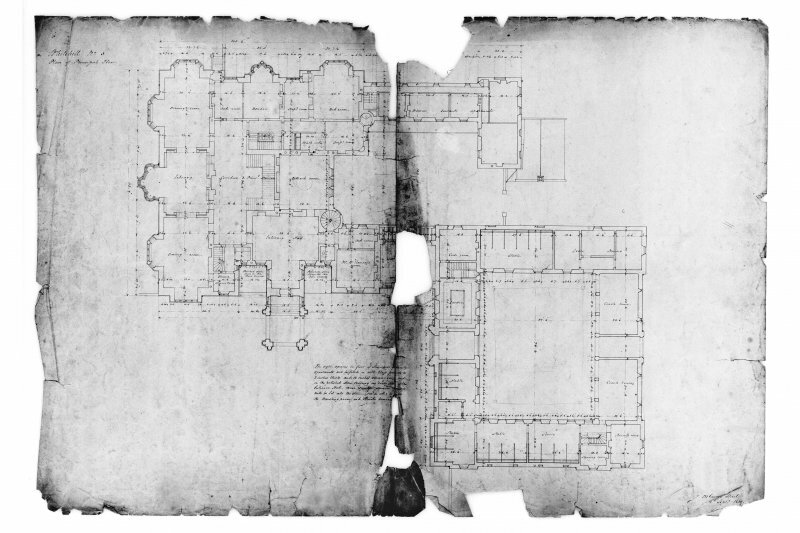 GD152/53/4/27/2 & 3. 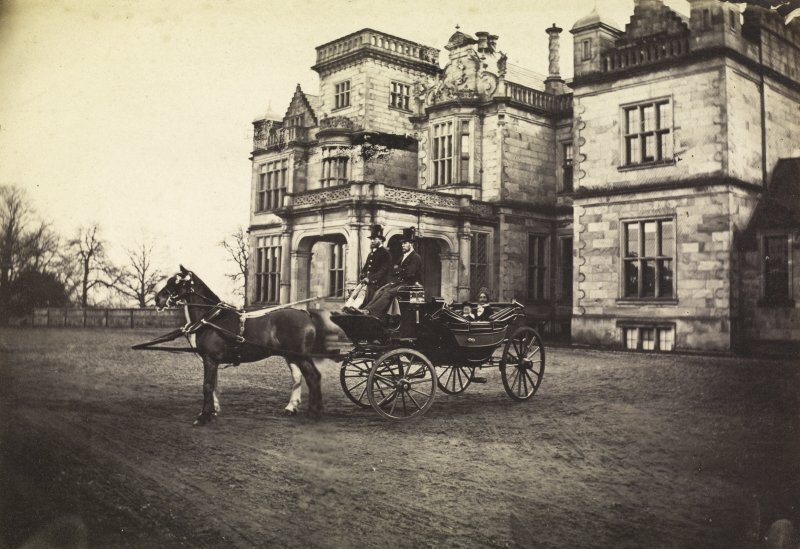 Letter A Roos to Tyndall Bruce October 10 1843 'Had much to do at Whitehill in the way of garden with Mr Burn and Mr Ramsay. The grounds at Whitehill are not good'. Whitehill. 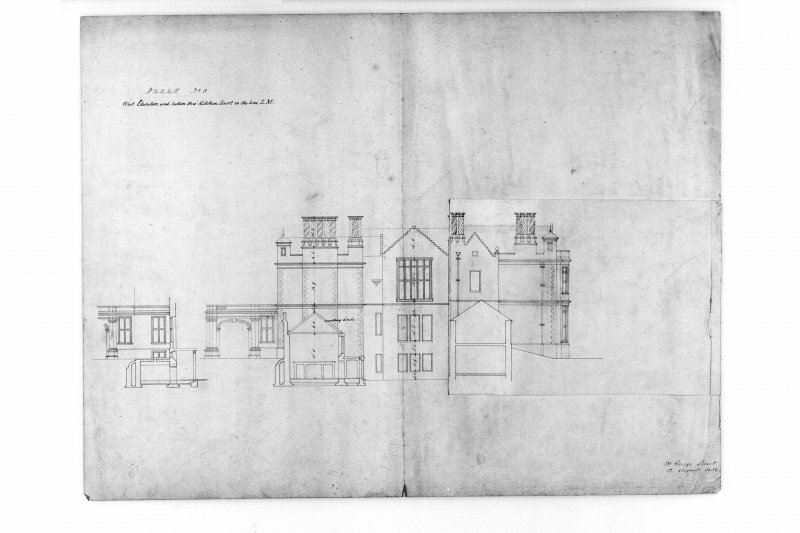 Account for glass supplied to Sir John Ramsay of Whitehill at Whitehill House. 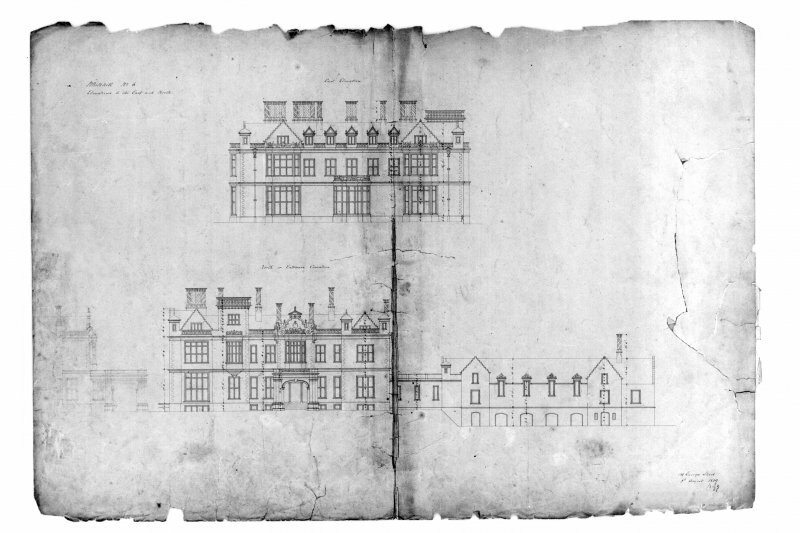 It includes sums for new casements for the hall, for mending the room off the hall and the study for Sir John's own room, the stair, backstair, mid room, the next room, the bairns' room, the grieve's room, and the woman house. #22.18.0. 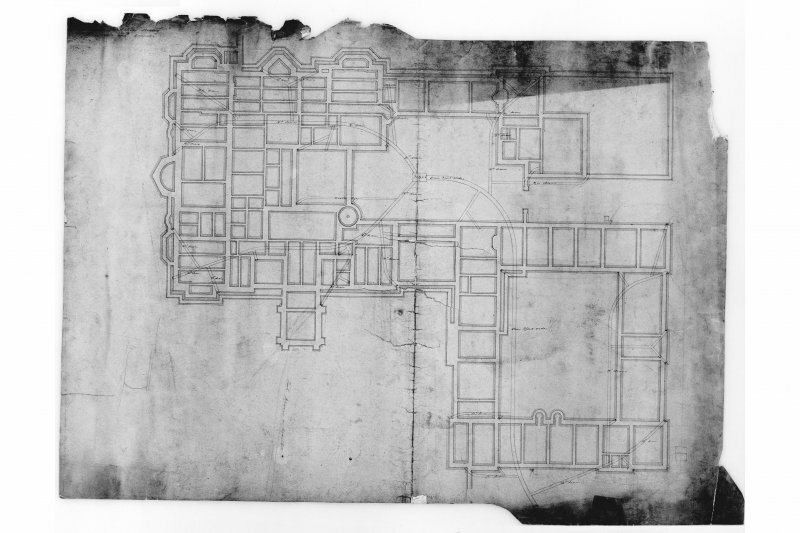 [? 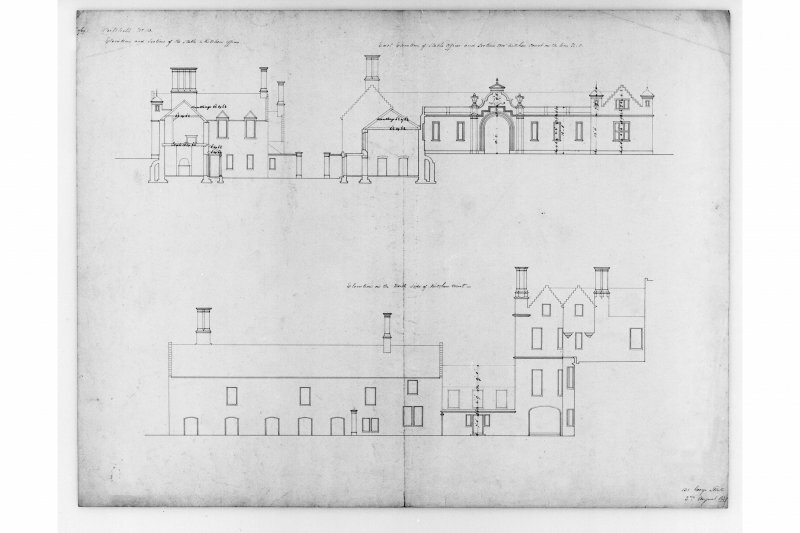 Whitehill] Account for lath and plasterwork and for supplying deals from William Clark, Wright, to Sir John Ramsay of Whitehill. 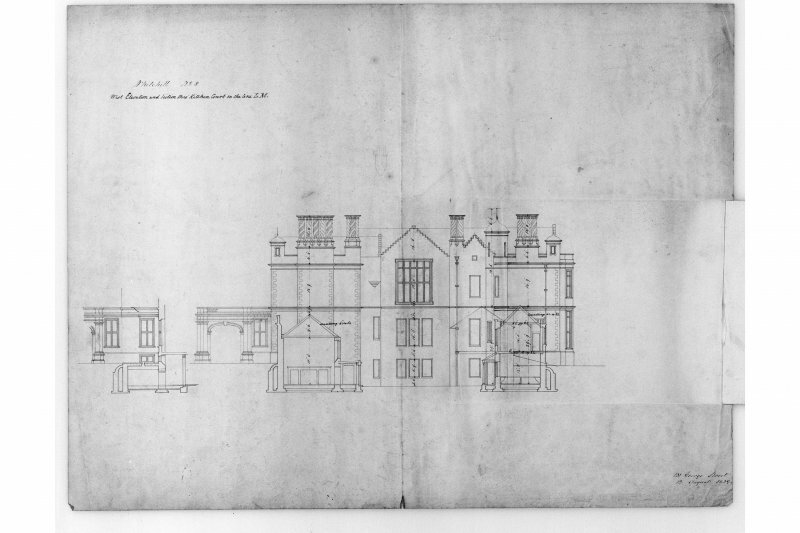 Building and repairing the house of Whitehill.